A high-level delegation from the UAE is participating in the 8th eighth Vibrant Gujarat Global Summit which kicked off on Tuesday, January 10, 2017 – under the theme of ‘Sustainable Economic & Social Development’ and will run until the 13th in Gandhinagar, the capital of Gujarat state in Western India. The group is headed by H.E. Dr. Rashid Ahmad bin Fahad, Minister of State, and accompanied by H.E. Abdullah bin Ahmed Al Saleh, Undersecretary of the Ministry of Economy for Foreign Trade and Industry and H.E. Dr. Ahmed Al Banna, UAE Ambassador to India. They discussed the promotion of mutual investments and ways to deepen economic cooperation taking into consideration the development goals of the two countries during the summit’s opening day. The UAE is participating as a country partner of the summit for the first time along with 12 other countries. The ongoing edition was opened by H.E. Narendra Modi, Prime Minister of the Republic of India, with heads of state, leading government figures and experts set to discuss cooperative and investment opportunities in a number of areas, most notably manufacturing, innovation and technology, small and medium enterprises, renewable energy, and tourism, among others. During the summit’s opening session, H.E. Dr. bin Fahad emphasized the importance of the historic ties between the UAE and the Republic of India, which he said are driven by deep and strategic economic ties and common interests and visions in many development sectors. He also referred to their countries’ close social and cultural bonds. The Minister added that economic relations between the UAE and India have strong potential for further development given the common desire of their leaders as well as their private sectors to sustain the momentum of their successful bilateral trade and investment activities. He also noted the significance of the upcoming visit of H.H. Sheikh Mohammed bin Zayed Al Nahyan, Crown Prince of Abu Dhabi and Deputy Supreme Commander of the UAE Armed Forces, to India by the end of this month. H.E. Dr. bin Fahad explained that this will push their relations to higher levels of development and prosperity, reflecting their buoyant bilateral relations. 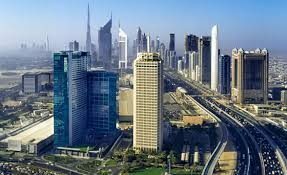 The Minister also noted the most prominent features of the UAE’s economic development, which he said has been supported by huge state investments into various non-oil sectors over the past decades that have contributed to the country’s economic growth and strengthened its position as a regional and global trade and investment hub. He further commended the achievements of leading UAE companies investing in India, such as DP World which is investing heavily in local trade and container operations in the country. DP World currently operates five container terminals which support around 34 percent of container trade in India, making it the largest operator of container terminals in the Indian sub-continent. 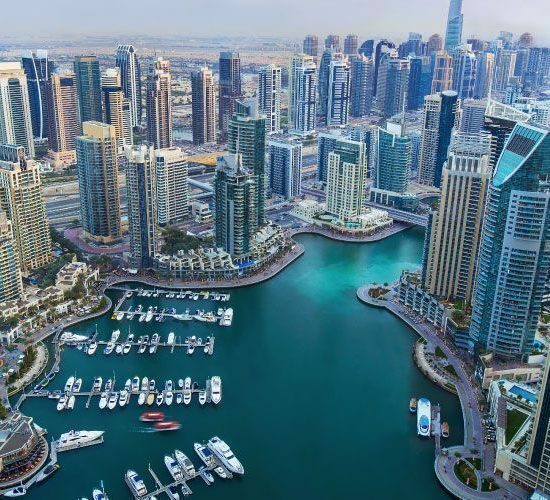 The Minister added that the UAE presently hosts the largest Indian expatriate community comprising more than 2.6 million people, which he said earns around USD 12.8 billion annually per statistics from the World Bank. He referred to the aviation sector as a major contributor to commercial and tourist exchange and sustained bilateral economic growth, noting that the current average of 1,070 flights a week indicates strong bilateral ties and common interests. For his part, H.E. Al Saleh said that economic ties between the UAE and India have been rapidly growing over the past years and have led to a high level of partnership. He shared that the UAE’s foreign direct investments to India totaled USD 4.38 billion from April 2000 to the third quarter of 2016, with USD 1 billion posted in 2015 alone. This, he explained, reflects the swift development of economic relations between the two countries, further noting that the UAE is India’s 10th largest investor and the first among Arab countries, accounting for 85 per cent of total Arab investments in India. The Undersecretary added that the robust trade exchange between the UAE and India is indicative of their rapidly growing bilateral economic relationship. He revealed that their total non-oil foreign trade reached more than USD 34.2 billion in 2015 and exceeded USD 17 billion during the first half of 2016, putting the UAE third among India’s most important trade partners. India, on the other hand, ranks first among the UAE’s major trade partners. He said that India is the third biggest exporter, the top importer and the second biggest re-exported to the UAE. H.E. further stated that the UAE’s stimulating economic environment – which he noted is backed by laws and regulations supportive of growth and which offer attractive economic incentives and advanced infrastructure as well as various other competitive facilities for investors and venture capitalists – has successfully attracted more than 4,365 Indian trading companies registered with the Ministry of Economy as of 2015, in addition to over 200 commercial agencies and around 5,580 registered Indian trademarks. H.E. Ahmed Al Banna, UAE Ambassador to India, said that the bilateral relations between the UAE and India are unique and distinctive, following its long history and strong ties based on mutual respect and common interests. H.E. Al Banna further said that both countries are currently witnessing strong growth and maturity, reflected by the vibrant economic and commercial activity and have expressed interest in further developing a number of investment opportunities He also emphasized that both countries must maximize the unique economic, social and cultural benefits made available by this special and mutually beneficial relationship. He further noted that Vibrant Gujarat Global Summit 2017 represents a significant milestone in line with efforts to strengthen communication channels between UAE and India and its people. The UAE delegation includes H.E. Sultan Ahmed bin Sulayem, Chairman and CEO of Dubai Ports World; H.E. Jamal Saif Al Jarwan, Secretary-General of the UAE International Investors Council; Mohammed Nasser Hamdan Al Zaabi, Director of Trade Promotion, UAE Ministry of Economy; Ahmed Sultan Al-Falahi, the Trade Attaché for the UAE Embassy in India; and 50 UAE investors and businessmen.